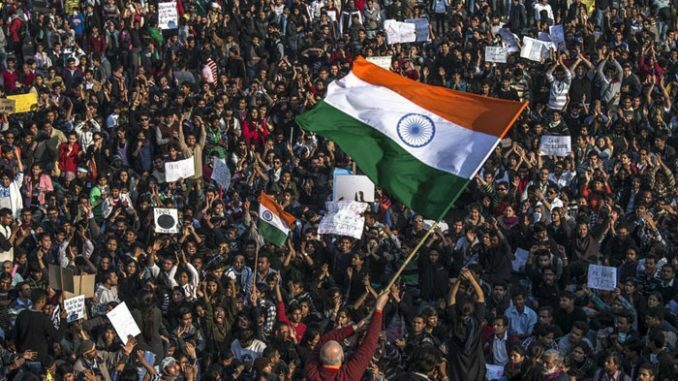 Has support for autocratic rule grown in India? Mumbai: A recent global survey by the Pew Research Center, an American think tank, grabbed the headlines last week. It said more than half the Indians surveyed would support rule by a “strong leader” or rule by the military. In fact, support for both autocracy, i.e. rule by a strong leader, and for military rule in India is one of the highest out of the 38 countries surveyed. Rule by a strong leader is defined as one with minimum interference from Parliament or the courts. While the 2017 survey questions are not exactly comparable to the past rounds of Pew’s Global Attitudes Survey, the 2007 round did ask a similar question about preference for a strong leader. At that time, only 30% of Indian respondents had professed support for a strong leader to solve the country’s problems. Another global survey, the World Values Survey (WVS), whose results are comparable across successive rounds shows that support for rule by a strong leader has indeed increased in the country. Fifty-six percent of Indians supported rule by a strong leader in the 2010-14 round (or 2010-14 “wave” as WVS calls it), up from 43% in 1999-2004. Taken together, these survey findings seem to suggest growing support for autocratic regimes, and declining support for democracy, in the world’s largest democracy. However, there are three key reasons why we must be cautious in jumping to such conclusions. Firstly, both the Pew surveys and the WVS are based on small samples, which may have an urban bias. This is especially true of the latest Pew survey, which sampled only 2,464 people in India, that too disproportionately from urban areas. The last WVS round surveyed about 4,000 Indians. Secondly, the Pew survey itself shows that an overwhelming majority of Indians —79% to be precise—are happy with the functioning of the Indian democracy. In fact, satisfaction in India on this score was the highest among the 38 nations surveyed, jointly with Sweden and Tanzania. Thus, there seems to be an apparent contradiction in the findings of the survey. Finally, the results of the global surveys do not seem to match the findings of larger surveys conducted by the Lokniti research group at the Delhi-based Centre for the Study of Developing Societies. Two similar questions from the 2009 Lokniti post-poll survey and the 2005-09 WVS threw up opposite findings on the support for autocratic government in India. The 2009 post-poll survey covered more than 36,000 respondents but the question on autocratic rule was asked only in a sub-sample of 7,263 respondents. The 2005-09 WVS round covered just 2,001 respondents. While the 2014 Lokniti pre-poll survey did not repeat the question about a strong ruler asked in 2009, it did ask respondents to rank the most important electoral issue for them. Strong leadership did not figure anywhere near the list of top voter priorities. The collective weight of evidence suggests that the global surveys might be over-estimating the support for autocratic rule in India.